The funeral service for Thomas Henry Foster Walkley, aged 92, of Caistor, was held at Caistor Methodist Church. 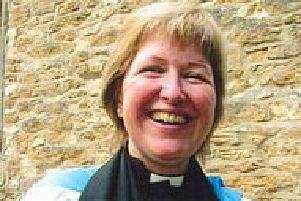 The Rev Sarah Parkin officiated at the service and arrangements were by J Marshall of Market Rasen. Tom was born in Grimsby.He was a seaman, agricultural contractor, explosives engineer and trawler owner. He also served with the Royal Navy and was a well-known and well-respected member of the Royal Naval Patrol Service Veterans. Family mourners were: Edna Walkley (wife); John Walkley and Anne Davies (son and partner, also rep Jason Walkley, grandson); David Walkley (son); Sue Walkley (daughter-in-law); Ben Walkley (grandson); Raymond and Christine Thacker (son and daughter-in-law); Michael Thacker (grandson) and Lisa Thacker (rep Brandon and Lily Thacker, great grandchildren); Sarah Toyne (granddaughter) and David Toyne, with Josh Toyne and Kevin Toyne (rep Alfie Toyne, great-grandchildren); Catherine Marris (daughter); Jason Marris (grandson) and Donna Marris (rep Leigh Marris, grandson, and Sue Marris); Shirley Sanderson (rep Nicholas Sanderson, grandson, and Aleisha Sanderson). Friends at the funeral service were: Louis and Robina King; Gordon Rodgers; David King; Carol and Bill Gorbutt; John Barr (also rep Jayne); Mrs G Popperwell (also rep Mr J Popperwell); Linda and Chris Arthur (also rep John Arthur); David Ornsby (also rep The Fishing Heritage Centre); Brian Linard (also rep Eileen Linard); Mr and Mrs T Short; David and Linda Ranworth; Terry and Pat Vann (also rep Graham and David Vann); Dennis Blackman; Gwen Wilson; Mary Kerrison; Sandra and Dave Kerrison; Barry Gissing (also rep the Gissing Family); M Wright; Bob Harrison; Deborah Barker (also rep Margaret Hilton); Margaret Taylor; Tony Taylor; Frank Johnson; Pat Johnson; K Somerscales; R and J Thompson (also rep the Thompson family); Mr and Mrs P McCall; Frank Fieldsend; Stewart and Karen Swinburn (past Mayor and Mayoress of NE Lincs); Julie Gough (also rep Capt Martin Gough); Ros and Ted Atkin; Mike Ornsby (also rep the late Lou Torrington RNPS and his daughters Janice, Gill and Wendy); Hayley Shepherd (also rep Jacob); Mr and Mrs A Shepherd (also rep Mrs F Holt; Sue and Tony Youdale); Photis Hardalias; Ann Todd (also rep Helen Todd); David and Linda Mason; Alice and Peter Day (also rep Norma Radcliffe); David Deptford; Dave and Karen Steenvourden; Linda Oxley (also rep Bob); Julia Somerscales (also rep Mr and Mrs J F Somerscales); Alan Somerscales; Harry Redman; Mr and Mrs David Harrison; Pete Miller; Phil Christy (Dock Master ABP); Len Davidson; Mr M Galligan.